Leading DisruptionAdhil PatelGlobal Director, Brand Kantar Adhil.Patel@kantar.com Brands are in..
A World of Changes in the South African Media LandscapeAshish WilliamsCEOMediaCom Ashish.Williams@me..
Why Stripping Away Traditional Channel Structures is Imperative for SuccessBrenda KhumaloManaging Di..
Brands That Invest Online Today Will Reap The Future RewardRudi NienaberE-Commerce Manager Smollan R..
What’s the next Holy Grail? What’s the next Holy Grail?Haydn TownsendGroup CEOWunderman Haydn.Townsend@wunderman.comIn the..
Trading PlacesIan GourleyCreative Director Barrows Ian@barrowsglobal.comI’ve been in thi..
Don’t Let Your Brand Be a Social Media StatisticMike StopforthCEOCerebra Mike@cerebra.co.zaHar.. The Problem with the Generation Gap? Marketeers Keep Falling into ItStuart WalshChief Strategy Offic..
South Africa - the “brand”The relationship between country brands and the products and s..
Best Countries: South Africa It is possible not only to measure the value of brands from South ..
South Africa ranks 39th overall among all nations and #1 in Africa. Its best individual categor..
Parent Company: FirstRand GroupBrand Value: $1,708 Mil.Headquarter City: SandtonIndustry: InsuranceY..
Parent Company: Naspers LimitedBrand Value: $776 Mil.Headquarter City: JohannesburgIndustry: Enterta..
Parent Company: Anheuser-Busch InBev SA/NVBrand Value: $1,121 Mil.Headquarter City: JohannesburgIndu..
Parent Company: Nando’s Group Holdings LimitedBrand Value: $2,160 Mil.Headquarter City: Johann..
Parent Company: Edcon Acquisition Proprietary LimitedBrand Value: $579 Mil.Headquarter City: J..
Parent Company: Clicks Group LimitedBrand Value: $409 Mil.Headquarter City: JohannesburgIndustry: Re..
Parent Company: FirstRand LimitedBrand Value: $3,675 Mil.Headquarter City: JohannesburgIndustry: Ban..
Parent Company: Barclays Africa Group LimitedBrand Value: $2,019 mil.Headquarter City: Johannesburg ..
Parent Company: Capitec Bank Holdings LtdBrand Value: $761 Mil.Headquarter City: Cape TownInd..
Parent Company: Blue Label TelecomsBrand Value: $986 Mil.Headquarter City: JohannesburgIndustry: Tel..
Parent Company: Anheuser-Busch InBev SA/NVBrand Value: $3,172 Mil.Headquarter City: JohannesburgIndu..
Parent Company: Shoprite Holdings LimitedBrand Value: $598 Mil.Headquarter City: Cape Town Indu..
Parent Company: Mr Price Group LimitedBrand Value: $805 Mil.Headquarter City: DurbanIndustry: Retail..
Parent Company: Nedbank Group LimitedBrand Value: $1,882 Mil.Headquarter City: Johannesburg Industry..
Parent Company: Old Mutual LimitedBrand Value: $1,692 Mil.Headquarter City: JohannesburgIndustry: In..
Parent Company: Pick n Pay Stores LimitedBrand Value: $765 Mil.Headquarter City: Cape TownIndu..
Parent Company: South African AirwaysBrand Value: $617 Mil.Headquarter City: JohannesburgIndus..
Parent Company: MTN GroupBrand Value: $2,913 Mil.Headquarter City: JohannesburgIndustry: Telecom Pro..
Parent Company: Mediclinic International PLCBrand Value: $582 Mil.Headquarter City: Stellenbos..
Parent Company: InvestecBrand Value: $1,161 Mil.Headquarter City: Johannesburg, LondonIndustry: Bank..
Parent Company: Life Healthcare Group Holdings LimitedBrand Value: $589 Mil.Headquarter City: ..
Parent Company: Netcare LimitedBrand Value: $653 Mil.Headquarter City: JohannesburgIndustry: ..
Parent Company: Santam LimitedBrand Value: $437 MiHeadquarter City: Cape TownIndustry: Insuran..
Parent Company: Sasol LimitedBrand Value: $1,213 Mil.Headquarter City: JohannesburgIndustry: Oil &am..
Parent Company: Standard Bank Group, Limited (UK)Brand Value: $4,788 Mil.Headquarter City: Johannesb..
Parent Company: Vodacom Group LimitedBrand Value: $3,258 Mil.Headquarter City: JohannesburgIndustry:..
Parent Company: Woolworths Holdings LimitedBrand Value: $1,434 Mil.Headquarter City: Cape TownIndust..
Parent Company: Dis-Chem Pharmacies LimitedBrand Value: $383 Mil.Headquarter City: JohannesburgIndus..
Parent Company: Rand Merchant Investment Holdings LimitedBrand Value: $368 Mil.Headquarter City: Joh..
Parent Company: Shoprite Holdings LimitedBrand Value: $1,122 Mil.Headquarter City: Cape TownIndustry.. Connecting with Soweto - One Street BackAntony StearnsNational Head of Strategy Geometry Antony.Stea.. 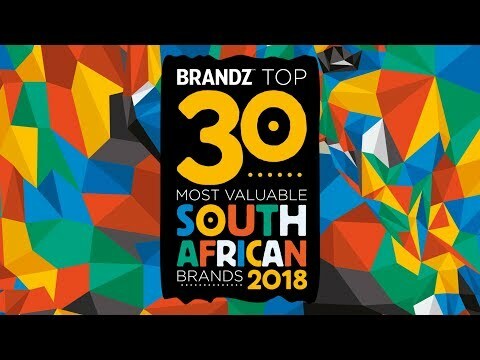 Brand Building: How to be Authentically PersonalBrenda KhumaloManaging Director Collective ID Brenda.. In Pursuit of NuanceDale TomlinsonCEOThe Hardy Boys Dale.Tomlinson@hardyboys.co.zaWhat “.. Brand Safety in an Era of ScrutinyElouise KellyManaging DirectorOgilvy Elouise.Kelly@ogilvy.co.zaThe.. The changing nature of work and what this means for brandsMathew WeissManaging DirectorSuperunion Af..
Nick TerryCEOTMarcNick@tmarc.co.zaIt has been said that there is no such thing as digital marketing ..
How Global Brands Make A Local ConnectionRobyn de VilliersBWC Burson Cohn & WolfeBCW Chairman an..
Why purpose is the great differentiator for brandsRoz ThomasManaging DirectorHill+Knowlton Strategie.. The 3-way to winning with InfluencersMarc KronbergerManaging PartnerStudent Village (a Smollan compa..